What is a Third-Party Injury Claim? Am I Eligible? Why Hire Simmons and Fletcher After a Work Injury? Injured at work? Call (713) 932-0777 today to speak with a work injury lawyer at Simmons and Fletcher, P.C. Consultations are free, and you pay nothing unless we win your case! We will fight to get you the money you deserve to help with medical bills, time off work, and suffering. Whether you were injured in a fall accident, at a construction site, driving a commercial vehicle, while working offshore or in another type of work accident in Texas, we can help. Unfortunately accidents in the workplace are not unusual. They range from simple slip and fall accidents to major plant explosions. Severe injuries, whether at work or somewhere else, can cause major disruption in your life. Injuries translate to time off work. Time off work is money lost. Then there are the medical bills that can pile up in a hurry. At Simmons and Fletcher, P.C., our work injury lawyers understand how on the job accidents can turn your life upside down. We are here to help take the burden off your shoulders. 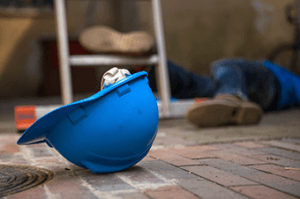 If you have been injured due to an accident on the job, there are several steps you should take to ensure your health is taken care of and your rights are protected. Filing a report of injury immediately may be the difference in an employee benefits plan accepting or rejecting your claim. How you go about doing this may depend upon where the injury took place. Check below for what to do in your situation. If you are on the job when the injury occurs, you need to file a worker’s compensation Initial Report of Injury immediately. Failure to file one of these within 24-48 hours could result in your loss of a right to pursue compensation. If your employer does not have worker’s compensation, you need to check with your employer, your employee handbook, and/or the human resources department to see what type of injury report you are required to file. Many employers provide alternative accident injury policies that can provide you with medical benefits but you must comply with their specific reporting requirements. Call your employer and report the collision. If you are on a third-party commercial property such as a grocery store, job site, gym, office or other place of business owned by someone other than your employer, they will likely have a process for documenting incidents. Contact a manager and file a report as soon as it is safe to do so. The sooner a store gets notice of the incident, the more likely they are to preserve any video evidence. Regardless of where you are injured, seeking appropriate medical care for your injuries should be the first thing on your mind. Call an ambulance if necessary. The more you delay in seeking appropriate care, the more likely worker’s compensation adjusters, health insurance adjusters, liability adjusters and any other insurance adjuster involved is to deny or low ball your claim. If you do not want to get treated unfairly, your best bet is to seek medical care promptly and follow the doctor’s orders. If you are physically able and it is safe to do so, you should document the condition that caused your injury and the accident scene with photos. Get photos of the vehicles if it is a car accident. These photos are invaluable toward proving exactly what happened. Photographing your injuries and medical care can be very helpful in proving your case, so document everything as quickly as possible. This includes documenting your injury’s healing process frequently. Take many photos over the first few days and then document the process weekly. Call a work injury attorney as soon as you can. Often, time is of the essence in these cases to prevent valuable evidence from disappearing. A work injury attorney can help you determine what types of coverage are available and when you need to file. Simmons and Fletcher, P.C., offers a free consultations with experienced work injury attorneys. We also do not charge you any attorney fees or expenses when we take your case unless a recovery is made. Call us today at: 1-888-998-1943. There are many types of work place injuries and they all have different legal aspects and issues that must be accounted for. Whether you are an employee, an independent contractor, or a day laborer will often determine not only what type of insurance coverage applies, but also what duties (and possible compensation) are owed to you. As a general rule, your employer has a duty under Texas common law to keep the workplace safe and free from accidental injuries. This includes a duty to provide the right equipment and safety equipment to get the job done safely. In addition to the state regulation of workplace injuries, Federal organizations such as the Occupational Safety and Health Administration (OSHA) impose standards upon employers to provide a safe workplace to employees. All of these laws and regulations must be taken into account when looking at an employer’s liability for an on the job injury in Texas. If your employer is exposing you to an unsafe work condition in violation of OSHA standards, you have the right to report an OSHA violation. If you were injured as a result of your employer refusing to follow OSHA regulations, you should contact a work injury attorney to determine what your civil rights are. In addition to accounting for the laws and rules that pertain to different types of injuries, a work injury lawyer must account for the different laws that apply when an employer provides worker’s compensation insurance, other “fake comp” insurance or no insurance at all to his employees. Texas Workers’ Compensation insurance provides extensive benefits for injured employees so long as their employer is a subscriber to the Texas Workers’ Compensation System and the sustained injury qualifies as an “on-the-job injury.” If you have suffered an on the job injury and your employer carries no worker’s compensation insurance or fake worker’s compensation insurance, you have the right to sue them directly for all of your pain and suffering/medical bills and other damages caused by their negligence. Fake comp plans may contain provisions requiring that you seek justice in alternate ways such as arbitration or mediation. Some may even seek to force employees to waive their common law rights entirely. However, any such provision or plan that fails to provide a worker with substantially the same benefits as worker’s compensation and requires a total waiver of civil liability rights is void against public policy in Texas. Don’t just accept what they tell you, have a work injury lawyer look over your policy and explain your rights to you under the law. If you have suffered a work injury and you are not sure if your employer is carrying real Texas Worker’s Compensation Insurance call us today for a free consultation with a Houston work injury lawyer about your case. When an injury is caused by someone who is not your employer or co-worker, you are still entitled to recover all of the damages you have suffered from the work accident. This may also include work injuries caused by a defective piece of equipment at your workplace. It further applies even when you have recovered worker’s compensation benefits from your employer for the same injury. A common example of this is when multiple contractors are working on the same job site and a contractor from one company negligently causes injury to a contractor from another company. The injured person may be entitled to both workers’ compensation benefits from his employer, as well as compensation from the employer of the contractor who caused the injuries. Our work injury attorneys at Simmons and Fletcher, P.C., have proven experience in representing persons who have suffered from a workplace injury. With combined professional experience of more than 100 years practicing law, Simmons and Fletcher, P.C. is a law firm you can trust to provide you comprehensive legal representation. Because our work injury lawyers understand how challenging life can be in the aftermath of an on the job accident, Simmons and Fletcher, P.C., charges no fee for our services unless a recovery is made. Contact us to schedule a free initial consultation regarding your workplace injury by calling: 1-800-298-0111.
Review: 5/5 ★ ★ ★ ★ ★ ” I cannot recommend this firm enough. Chris Fletcher represented me and my experience was great from start to finish. Chris was honest, accessible, and easy to talk to. His paralegal, Stephanie Quinn, was also incredibly helpful along the way, making sure to stay in contact with me and keeping me updated on all the details I needed to know, even though I can sometimes be difficult to get in touch with. I felt like they always had my best interest in mind and that my case was in good hands. The outcome of my case ended up being even better than I expected. These are great people who are great at what they do. If you choose Simmons & Fletcher, you will not regret it.” – Rebecca S., actual client. For additional information, see: Are Employers Required to Carry Worker’s Compensation Coverage in Texas?